You can blast your promotional messages around the community by gifting a personalized 2.88 x 1.38 ambulance shape full color magnet. It helps to save on your promotional investments and retrieve your dying brand value with minimum efforts. Perfect for building awareness about your hospital, healthcare group, private ambulance service and emergency services. It steals the show from its surface of affixation and people always love to keep it closer for viewing the business information imprinted against it. 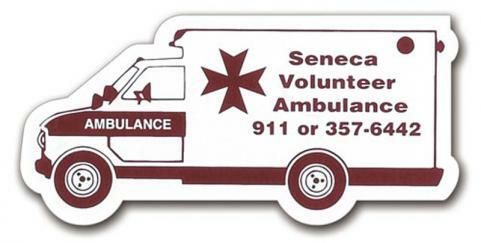 Request a quote to know discounts on bulk orders of this custom 2.88 x 1.38 ambulance shape full color magnets. Product Size : 2.88 in. x 1.38 in.